It’s the most wonderful time of the year to try the best anti aging skincare treatments and devices for the home. Christmas is right around the corner, and if you are looking to gift someone with beauty gadgets and tools that help with fine lines, wrinkles, pore size, and brown pigmentation, I have just the shopping list you are looking for. 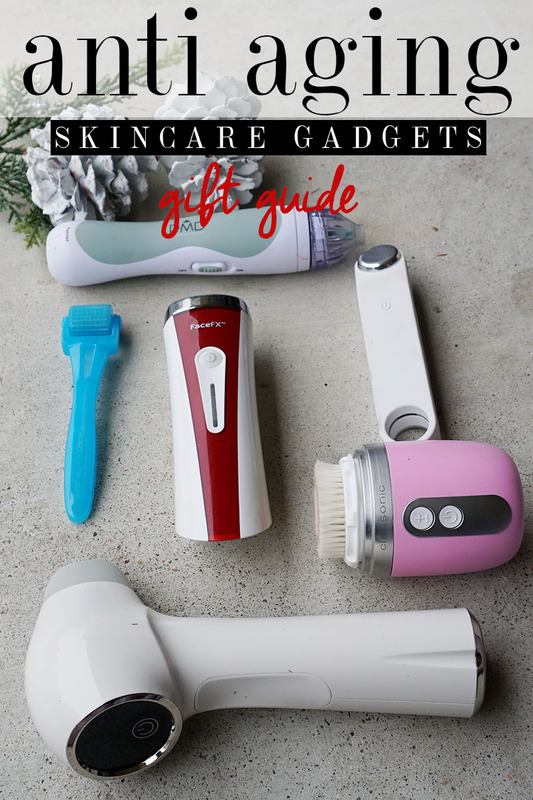 Here is the ultimate anti aging skincare gadget gift guide for this holiday gifting season. PMD Personal Microderm Machine skincare gadget helps to improve the texture of the skin by exfoliating the top layer. You can skip your micro appointment and just do from the convenience of your home. Skincare Roller: Using a skincare roller is one of the best ways to stimulate collagen and help with pore texture at home. Combine it with retinal, and you have an excellent anti-aging skin treatment that is incredibly cost effective. FACE FX: The Silk’n FaceFX helps to diminish wrinkles, improve texture, brighten the skin and reduce pore size. It uses an LED-based Home Fractional (HF) Technology for anti-aging results and combines deep dermal heat and red light therapy to stimulate collagen production. Jenu is a powerful skincare tool that uses 365,000 pulses of ultrasonic energy per second with proprietary MicroSphere Conducting Gel to triple your products absorption. It increases product absorption and allows your skincare to be the most effective. Contour Kinetic The system uses isometric compression, which gently lifts and releases targeted skin areas with low sonic frequency vibrations to stimulate and tone dull, aged skin. It helps with skin appearance, product absorption, and the overall health of the skin. 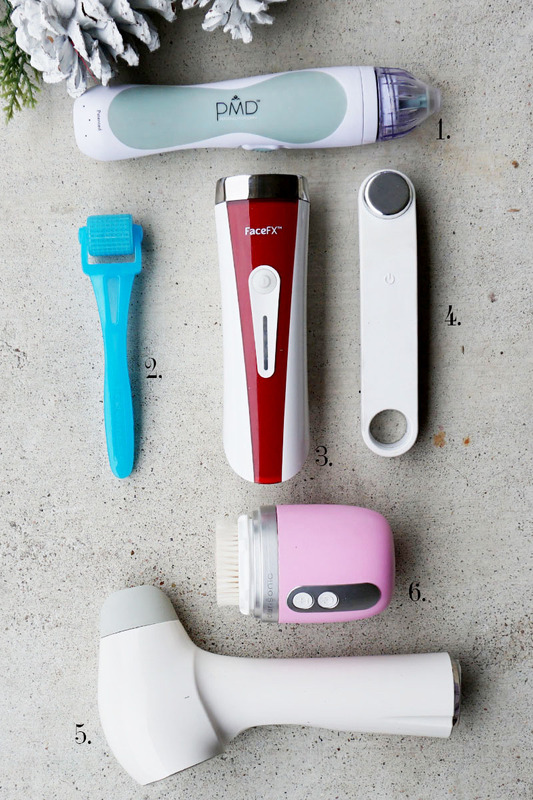 People that use this beauty gadget have seen results with fine lines and wrinkles, texture, tone and more. Mia Fit Skin Cleansing System is one of Clarisonics newest devices for a deep pore cleaning. It removes impurities and gives your cleaner, softer, and better skin that is ready to receive other skincare products.